In 2nd grade, place value is king! 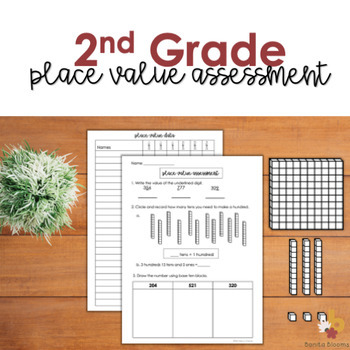 This 2nd grade place value assessment is an efficient way to test your students on 2.NBT.1-4. 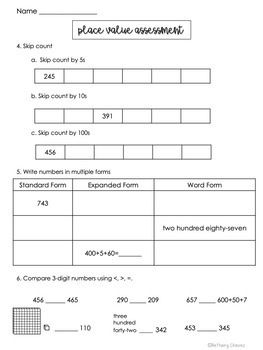 Use the data tracking sheet and the rubric to record their scores. Then you will be able to quickly and clearly see the strengths and holes to be filled for each student. This also allows you to quickly form intervention groups. 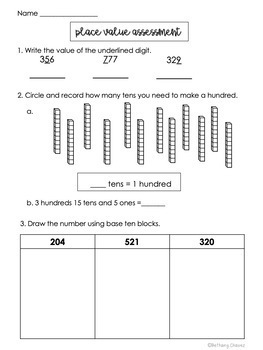 This 2nd grade place value test is also a great way to quickly assess when it comes to report card time. 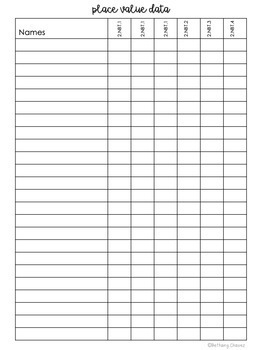 Easy to give (doesn't take students long) and easy to grade!